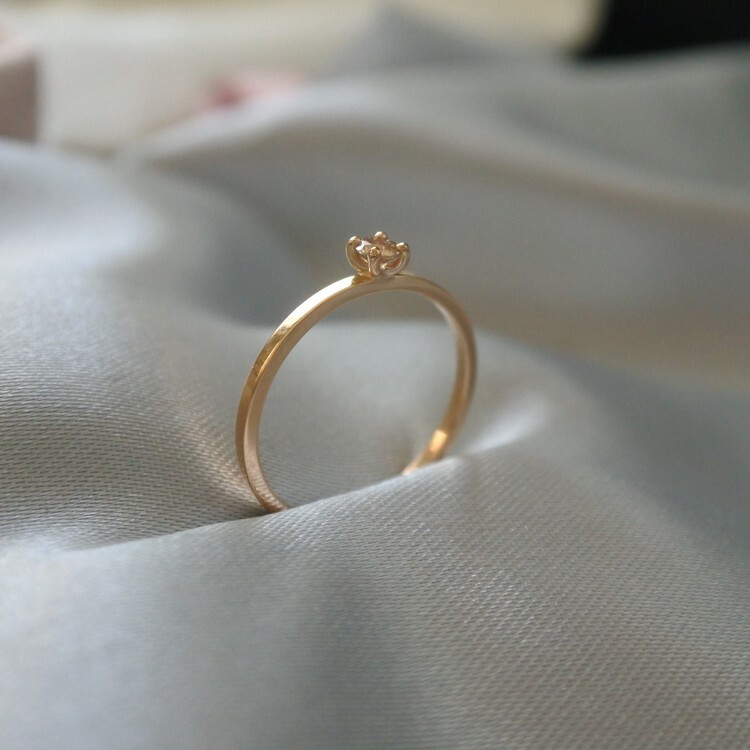 The ring is made in 18K gold (choose between Red (swedish standard) or White gold) with a champagne diamond. If you want some other kind of gemstone just email me and I will help you. 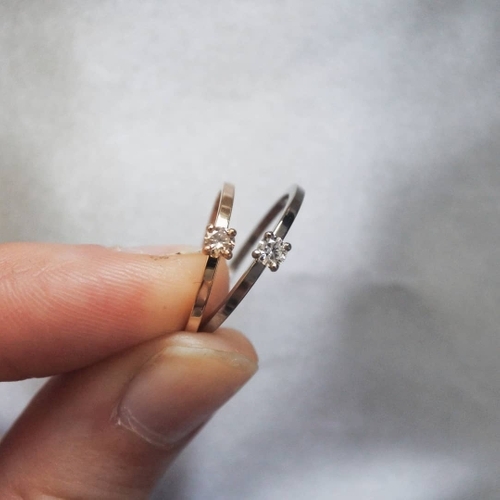 Height & width of the ring is 1,3x1,3mm. The size of the gemstone is 0.10ct (3mm). 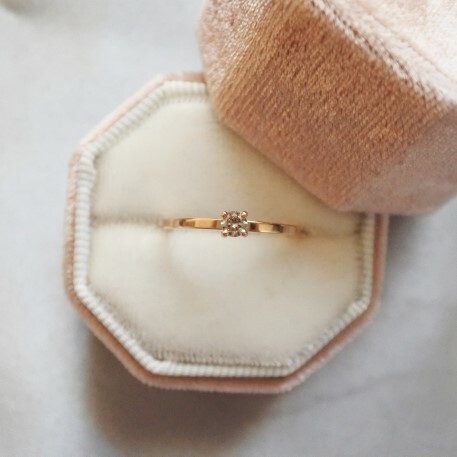 This ring is made to order after your ring size and choice of gold.